The Paradise Valley Spring Creeks are bug and fish factories all summer long. Thanks to their spring fed headwaters, Depuy’s, Armstrong’s, and Nelson’s Spring Creeks, run cold and clear even when the weather gets hot. This is good news for our anglers and our Montana fly fishing guides. PMDs start to hatch mid June, with Tricos, Sulphurs, Midges, and some Caddisflies rounding out the summer hatches. 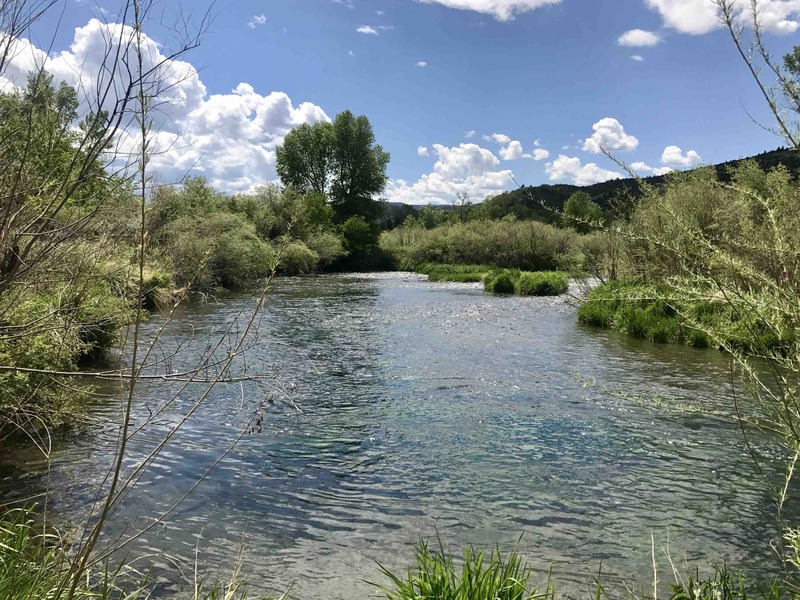 Hatch density can vary day-to-day depending on weather, wind, and the fishing gods’ mood, but anglers can rely on consistent fly fishing throughout the summer months. Hoppers and other terrestrials start to show up mid-July and can make for great action some days. Nymphing remains solid. The trout have spread out from top-to-bottom of the creeks, which makes for a wide variety of fishing features and scenarios. Fly fishing on the Spring Creeks in the summer is a great way to experience solitude on a small stream as part of your next guided Montana fly fishing trip.